My People is the first major feature of the Redstone 3 iteration of Windows 10. Microsoft’s feature for connecting you to close friends, known as My People, may have been cut from the Creators Update, but it has resurfaced as part of the latest Windows Insider build (16184) for Windows 10 PCs. With the Creators Update finished, Microsoft is now working on the next major update of Windows 10, known as Redstone 3. While the initial builds of Redstone 3 focused on framework, Microsoft appears to have moved on to adding features: namely, the My People “experience,” and a richer Focused Inbox for those who use Gmail with Windows 10 Mail. The latter will also add package and travel-reservation tracking, Microsoft said. Why this matters: My People promises to be a significant feature within Redstone 3. My People works on the assumption that, while you may have a number of friends and acquaintances, there’s a handful among them that you’d like to be in near-constant contact with. We hope so, because Microsoft is making it so those folks are always close at hand. Microsoft launched a new Focused Inbox for Gmail users who connect using Windows 10 Mail. It’s not clear whether all of the features Microsoft showed off previously are within the current iteration of My People. 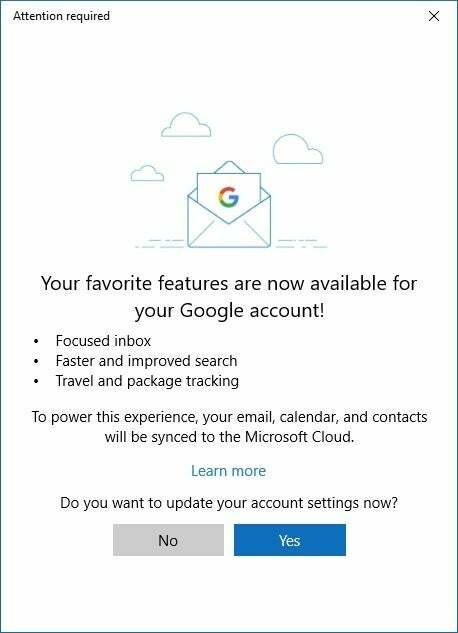 Last fall, Microsoft indicated that when you opened an app such as Mail, the My People you selected would appear among the default choices for email recipients. 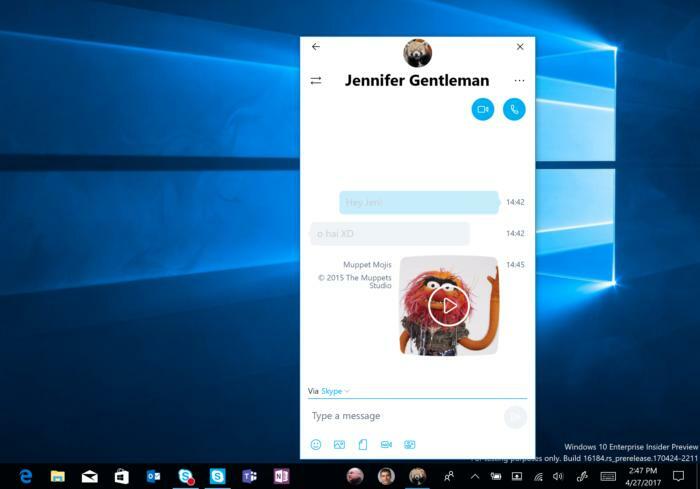 Microsoft also showed off “Shoulder Taps,” where your My People friends could send you emoji and other feedback, which would pop up on your desktop. With the current release, Microsoft said that an “improved Share story for People” will be rolling out in future builds. To ensure that My People launches correctly, however, you’ll need to download the most recent versions of the Skype, Mail, and People apps from the Store. Clicking the People icon in the taskbar will launch My People, Microsoft said. Microsoft also released Build 15208 for Windows 10 Mobile users, which contains bug fixes.